Now before you say that the HTC HD mini has been reborn in the HTC Gratia, and other transcendent stuff, we assure you this is not exactly the case. The Gratia has an optical trackpad, which the HD mini lacks, different buttons underneath the screen, because it is running Android, and... well, that's it. 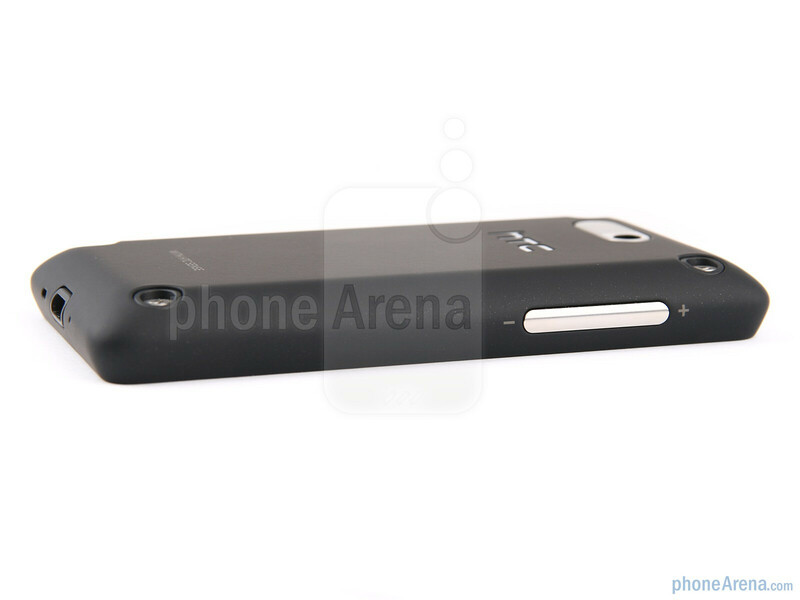 It looks exactly like its North American twin the HTC Aria on AT&T, though. There are some negligible size and heft differences between the HTC Gratia, and the HTC HD mini, but unless you are a fairy, they are not noticeable. The phone comes at 4.10 x 2.30 x 0.46 (104 x 58 x 12 mm) and weighs 4.06 oz (115 g). Clad in its solid shell, with chromed metallic accents, and soft-touch plastic on the back, the handset actually looks heavier than it is. 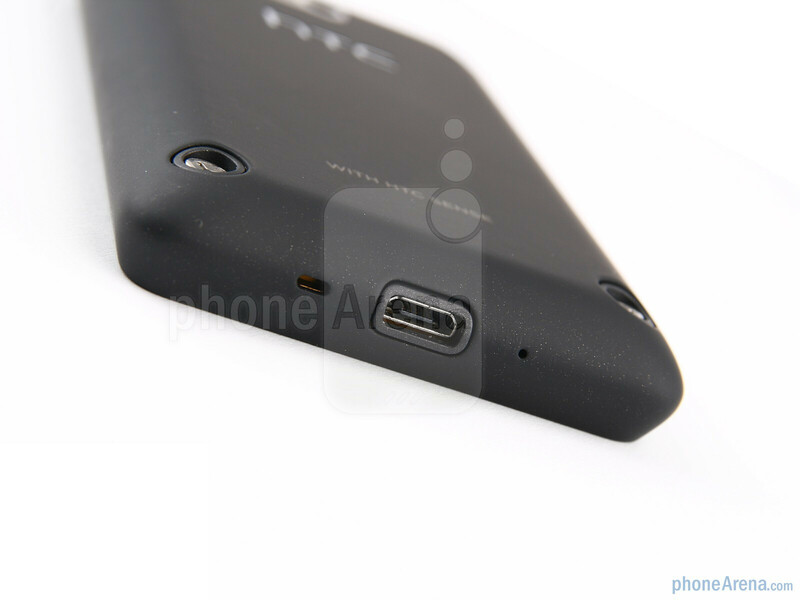 This impression is enforced by the four open screws on the back, which make the phone look built like a tank, and heavy as one. While the first one is true, the HTC Gratia is actually light, comfortable to grip, and very easy to operate with one hand. You can compare the HTC Gratia with many other phones using our Size Visualization Tool. 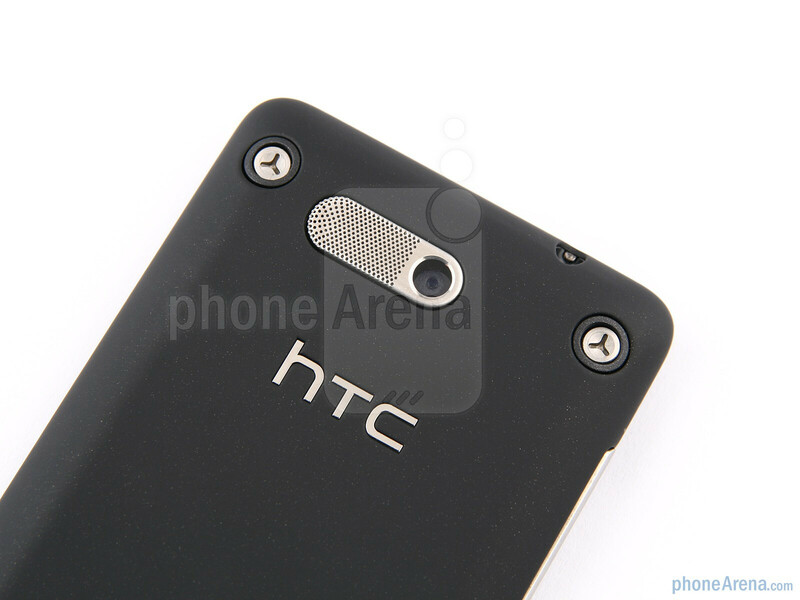 There is the typical for HTC optical trackpad underneath the screen, and four responsive capacitive buttons for Android navigation. The screen is the same 3.2” capacitive LCD display we know from the HTC Aria, with 320x480 pixels of resolution, able to show 262 144 colors. It is not very bright outside, but the colors are vivid, and the viewing angles are wide. 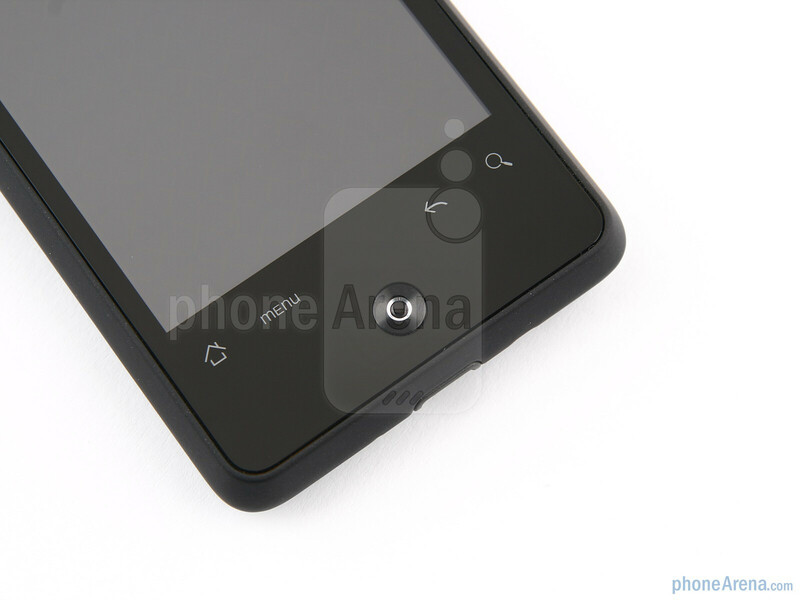 There is a 5MP camera on the back without any flash, flanked by the speaker grill on its left. Overall, the design of the munchkin is very appealing, exudes quality of the craftsmanship, and the phone is easy to handle. Our main complaint is that for access to the battery department, where the SIM card and the supplied 2GB microSD card are, you have to use a tricky way to take off the back cover, but that's why nature gave us opposing thumbs, we guess. 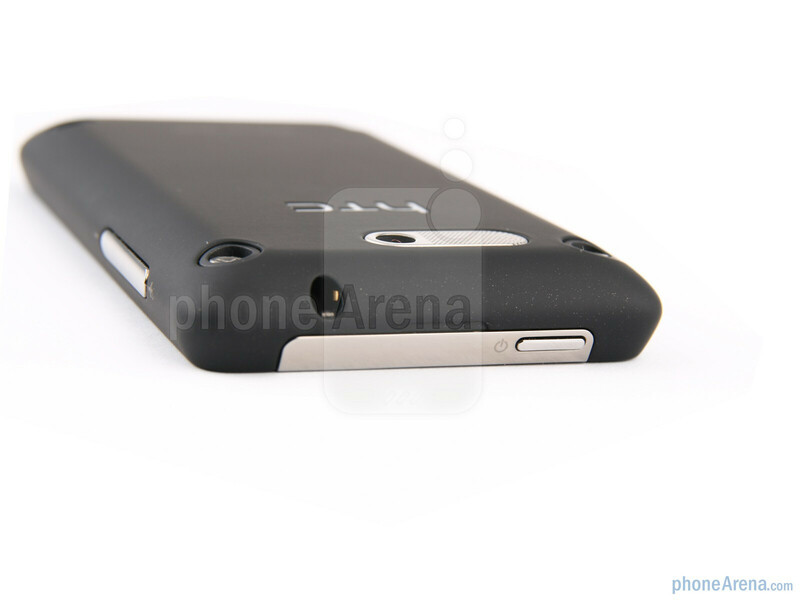 The four exposed screws add a lot to the solid industrial design looks of the HTC Gratia (they do not hold the battery cover), and they actually keep its innards firmly together, so we don't advice you trying to remove them. 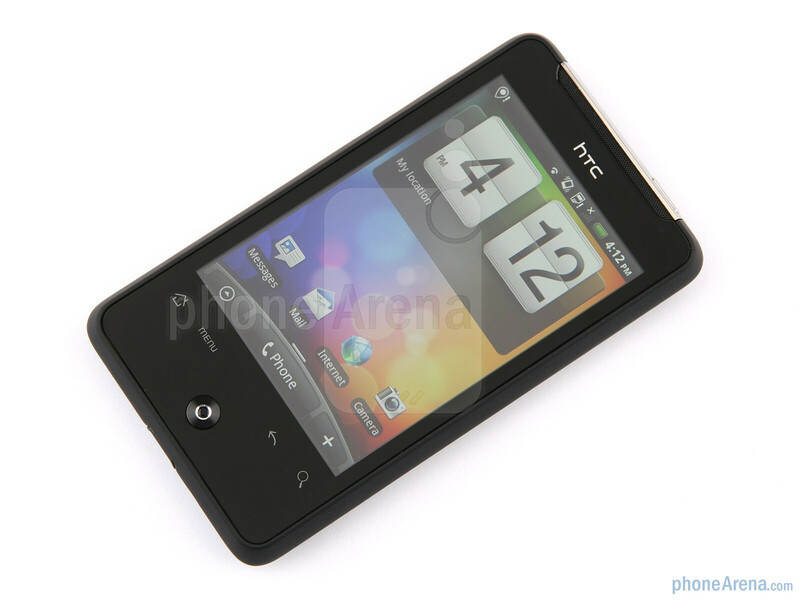 The HTC Gratia comes in several colors – black, white and green, of which the green version really stands out. Have this phone for 'bout 10 days. I'd give it one solid 9/10 mark, for it does all I need and without any problems so far. All market apps work so far, and battery consumption is saved by far if u reduce brightness every once in a while while not browsing/doing work stuff or playing games. Plus, there are many free task managers so that should also be useful. Only fault I have noticed so far is awful camera, but it still works like charm during daylight. 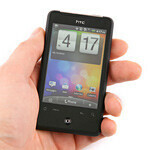 It's handy, and more "pocket friendly" than desire hd, wildfire, desire z and similar. Useful and fun. Plus very good looking. 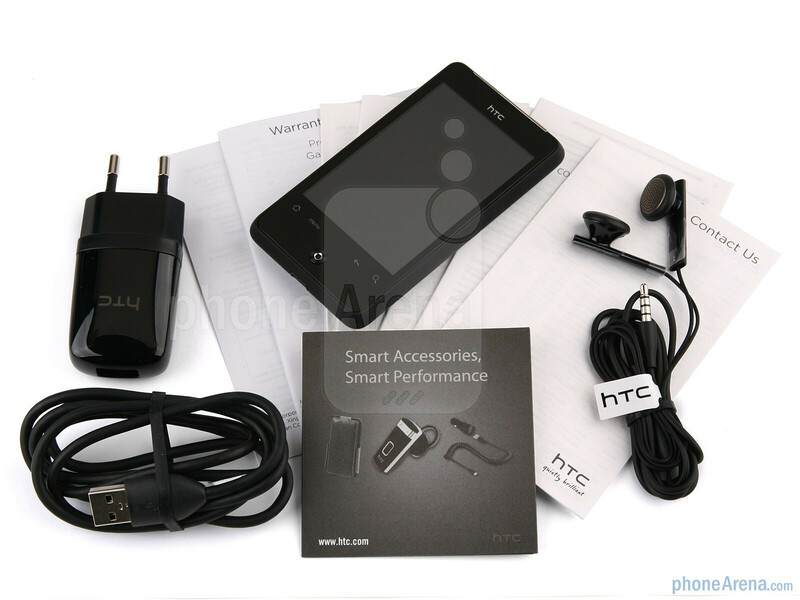 hi does anyone know when the htc gratia is due to arrive in the uk? Hi, I bought the Gratia 2 days ago and I want to go return it tomorrow. The phone's call quality is absolutely CRAP. Does anyone have that feeling?